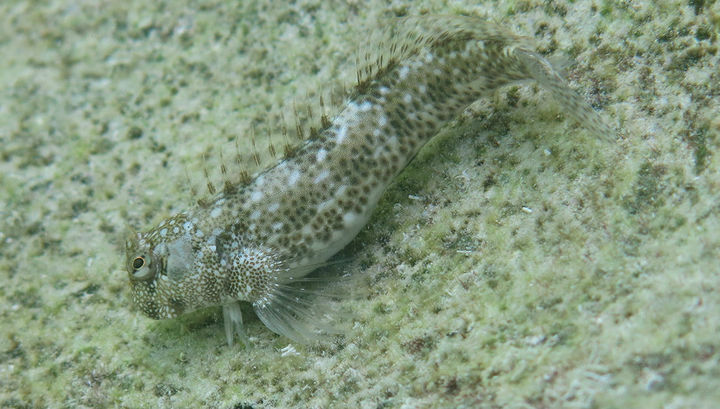 Researchers described the case when the fish literally “leaves” from the water to the shore. Several species of fish of the dog family that live in the southern part of the Pacific Ocean, gradually “move” to land. Experts believe that in this way, the creatures, apparently, are trying to escape from the numerous predators living in the water. In other words, this is an example of evolution in action, scientists add. Researchers say that for the first time sea creatures began to creep on land about 400 million years ago, thereby initiating an evolutionary chain of events that led, among other things, to the appearance of humans. But the reasons for this change of location remain unknown. Terry Ord and his colleagues from the University of New South Wales (Australia) studied several species of fish of the dog family that live in Rarotonga, an island in the Pacific Ocean, the largest of the Cook Islands. Researchers observed that at low tide fish usually swam in the part that is flooded only at high tide – almost on the border with the island. But at the approach of the tide they were selected on land and moved around the rocks. So it was until the water left. Experts believe that this behavior is most likely due to the fact that they were rescued from predators. The latter sail along with the tide – it is mainly about large fish (flounder and striped lionfish). The researchers decided to check what will happen to the fish in the absence of escape options. For this purpose, the specialists made figurines of fish species studied from colored plasticine and placed them in the sea. Imitations eventually demonstrated to scientists numerous stab wounds, traces of predator bites, scratches and chipped pieces of figurines. In other words, real beings would suffer greatly from attacks by enemies. True, danger lies in wait for fish and on the ground. Researchers described irregular attacks on fish of birds. However, the risk of predator attacks on land is about one-third less than underwater. In addition, movement over land provides additional benefits, say scientists. For example, holes in the stones provide protection when laying eggs. It is curious that several species of fish of the dog family, inhabited by Rarotonga and elsewhere, have already made a complete transition to a terrestrial lifestyle. They continue to breathe with gills, but they also developed strong caudal fins that allow them to jump from stone to stone. Ord believes that many evolutionary processes (not only the release of fish from water to land) were due to the need for rescue from predators. He says that it is usually assumed that animals “move” to new habitats in order to find other sources of food, but in many cases rescue from predators is an even greater incentive.